According to our colleagues at Car and Driver, the slowest Mercedes S-Class sold in the US, the S550e plug-in hybrid, runs a 13.6-second quarter-mile at 103 mph. In other words, today's slowest US-market S-Class isn't actually that slow. 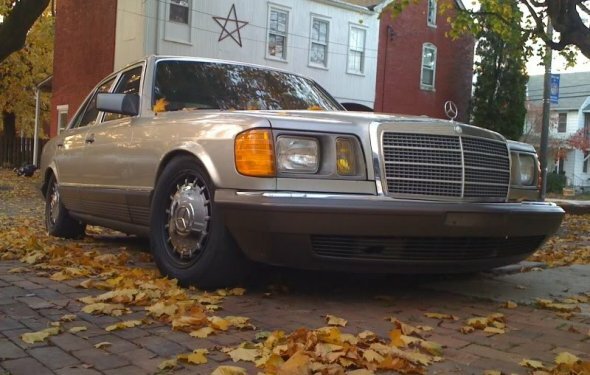 Back in 1982, Mercedes sold Americans an S-Class that was much slower, the 300SD Turbodiesel. In period, Motorweek measured this 120-hp beast as running the quarter-mile in 19.8 seconds with a trap speed of just 68 mph. That performance was actually impressive for a diesel car in the early 1980s—it was the quickest oil-burner Motorweek had tested to date. Clearly, the expectations of luxury-car buyers weren't in as much of a hurry 35 years ago than they are today. Still, this S-Class was a supremely comfortable and well-built machine, just as you'd expect from Mercedes. This S-Class is a stark contrast to today's, quick, high-tech model, but there's something refreshing about it. Mercedes just wanted the 300SD to be comfortable, efficient, and durable, and the it definitely succeeded.